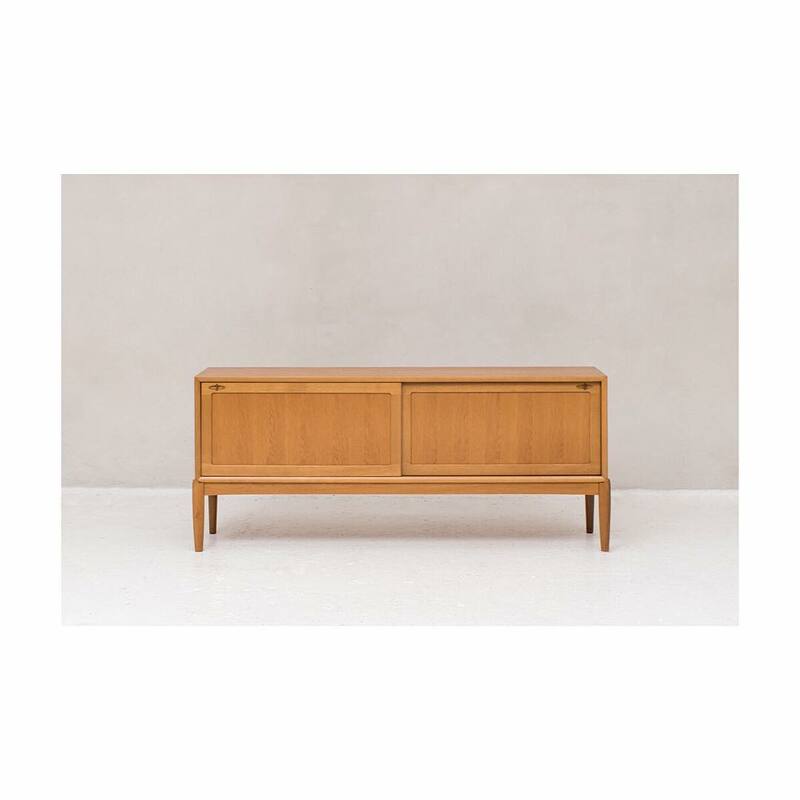 Sideboard designed by H.W. Klein and produced by Bramin in Denmark around 1960. Solid oak frame and oak veneer. Carries the Bramin label on the back.